A reward of up to $1,000 was offered for tips leading to whoever mistreated and abandoned an emaciated dog found early Friday morning in Bandy Canyon near Escondido. The person who found the canine, a pit bull mix about 2 years old, brought him to the San Diego Humane Society‘s Escondido campus for medical treatment, according to Dariel Walker of the Humane Society. 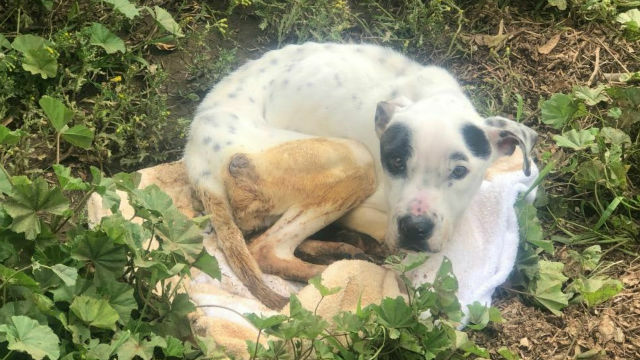 The Humane Society’s Humane Law Enforcement division opened a felony animal cruelty investigation into the matter due to the dog’s condition. Residents can report information leading to the responsible party’s arrest to the Law Enforcement unit by calling (619) 299-7012. Tipsters wanting to remain anonymous can call San Diego County Crime Stoppers, which is offering the reward, at (888) 580-8477 or visit its website at sdcrimestoppers.org.